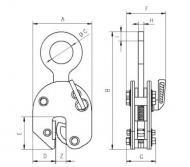 Camlok's 92 series clamps are manufactured in the UK to the highest quality, designed to be robust and built to last. Not only ideal for standard sheet lifting but they can also be used to transport steel constructions and profiles. 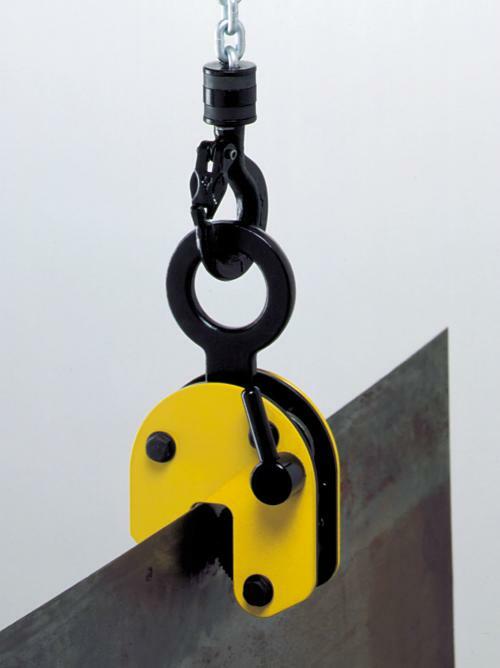 It is recommended to use a pair of plate clamps in conjunction with a spreader beam for long materials that have a tenancy to sag or flex. The jaw is opened and closed with the locking lever except for the 92-500 which uses a positive spring loaded cam. The safety lock spring loads the cam jaw, preventing the clamp from opening even when there is no load on the jaw. 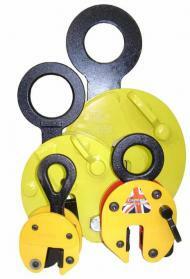 These plate clamps are service-friendly, making it easy to exchange parts which are readily available. 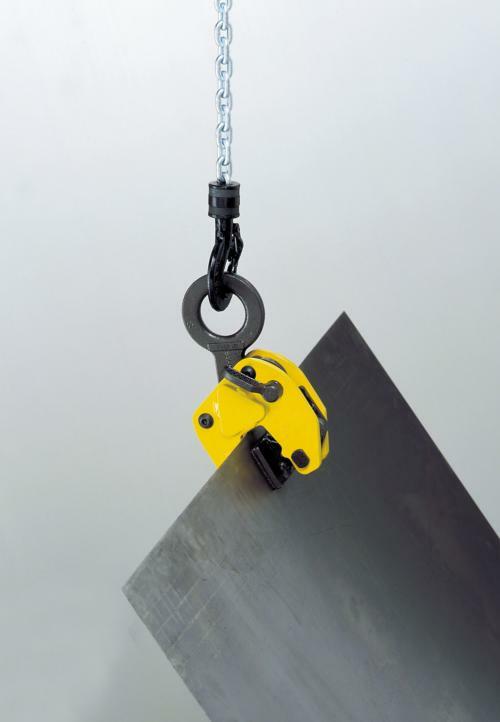 Clamp repairs are available through the factory or can be done by a competent person. 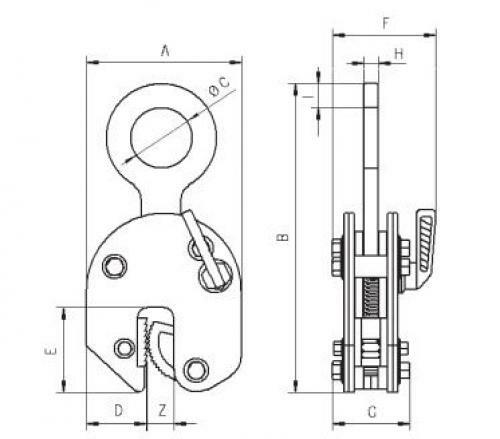 Can be supplied with link and chain upon special request.